His advice was drawn from the Gospel of John, which recounts the last encounter between Jesus and Peter. The first step towards being true disciples of the Son of God, he said, is love. The Pope then said tending the Lord’s sheep and caring for them is an essential part of the pastor’s identity. “The identity of a bishop and of a priest is to be a shepherd,” he said. 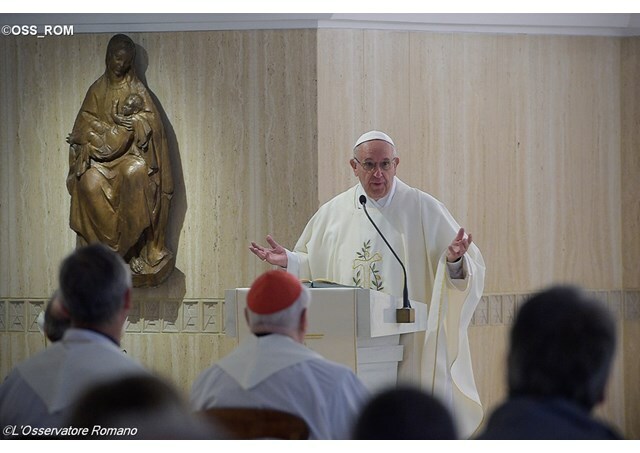 Pope Francis reminded the faithful that those who embrace the Lord fully are destined for “martyrdom” and “to carry the cross”, that is, to be led where they do not want to go. But this, he said, is the compass directing the pastor. In conclusion, Pope Francis focused on one final, pervasive temptation: the desire to meddle in the lives of others, without being content with minding one’s own business.